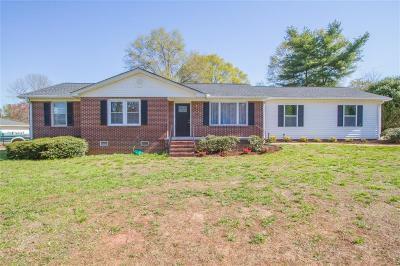 Look no further than this completely renovated 4 bedroom home in Sharonwood Subdivision! The interior of the home invites you in with a spacious great and newly carpeted floors. From the living room, you will enter the kitchen, with stainless steel appliances, new countertops and beautiful hardwood floors that open up to the formal dining area. Beyond the dining area and kitchen is a large family room with tray ceilings. Each of the four spacious bedrooms has new carpets and large windows, for plenty of natural light. The exterior features a very large yard, with a concrete patio, perfect for entertaining. This home is only a few minutes from downtown Anderson and is move in ready!